Rage Expo recently took place, and this year the expo turned 16. Sweet Sixteen, what a great age. There was plenty of internet chatter concerning the turn up that Rage would get after Comic Con 2018. Thankfully, given how the expo remains the first call for many of us, it was a resounding success. Rage continues to be South Africa’s biggest video gaming, computer, and technology exposition. However, it is also an event that embraces geek culture. As such, the event has become known for catering to those who love to dress up. Cosplay is a growing culture in South Africa and events like Rage offer environments that encourage cosplay culture, and the love and appreciation that goes into becoming your favourite characters. 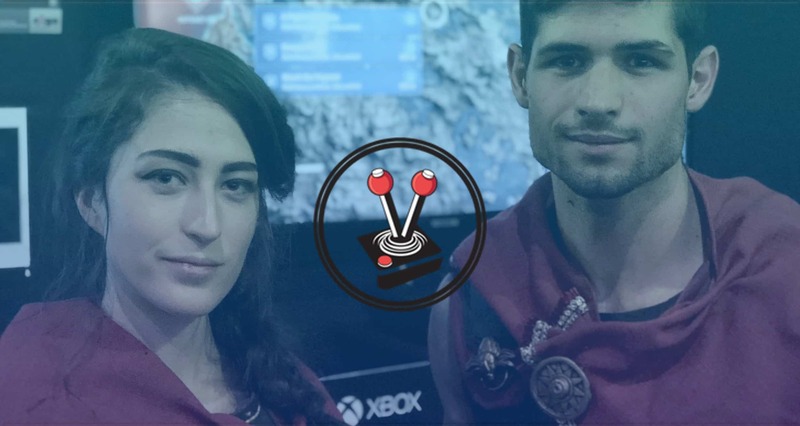 During Rage 2019, we came across the lovely Daniella Mosca and her partner, Joel Smith. 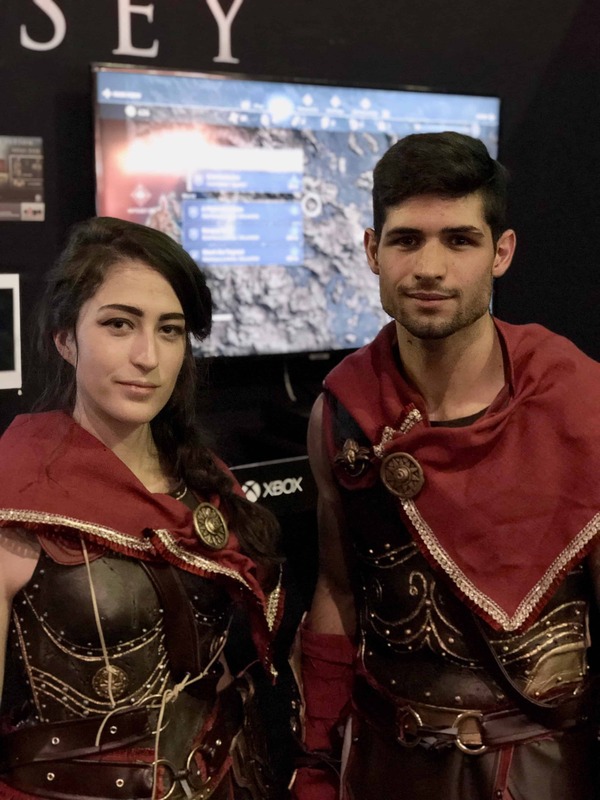 Both of whom were wonderfully kitted out at the Megarom booth in Assassin’s Creed: Odyssey cosplay, as Kassandra and Alexios respectively. When I saw them, I knew I had to interview them for Vamers. I hope that you enjoy this interview as much as I enjoyed admiring these two cosplayers. As per our Transparency Policy, this interview has been transcribed as accurately as possible. However, grammatical edits have been made for both brevity and clarity. Diona: What inspired you to start doing cosplay? Daniella: I was first introduced to cosplay at rAge 2012. As a child I always enjoyed dressing up and embodying characters. So after I discovered that it was an art form to recreate various costumes and characters, I dived into learning the ropes that would lead to me cosplaying for the first time in 2015. Joel: Daniella was my inspiration. I knew a little bit about cosplay, but during Comic Con 2018 I got to support her by carrying her stuff. And while watching her do her thing I just had a desire to join her and be by her side. Diona: What characters have you dressed as and which have been your favourite? Daniella: I have cosplayed as a variety of characters over the last few years, most of which never saw the light of a convention. But in total I have done: Korra (3 different outfits), Sweeney Todd, Armoured Lady Loki (my own design), Casual classic Harley Quinn, Post-Apocalyptic Esmeralda (for a Post-Apocalyptic Disney group), Han Solo genderbend, Wonder Woman and Kassandra (Assassin’s Creed: Odyssey cosplay). I would say that although Korra holds a space in my heart as my first cosplay, I love cosplaying as Wonder Woman and Kassandra. There is just something so powerful about impersonating a warrior in armour. Joel: Alexios was my first character to cosplay as and so far I am pretty attached to the battle hardened mercenary. Also his armour is hella badass! Diona: Do you make your own costumes from scratch? What has been the longest and shortest amount of time time needed to make a cosplay outfit? Daniella: I make everything from scratch and with my own two hands! The longest I have ever taken on a cosplay was roughly a year. This was for my Wonder Woman as it was the first suit of armour I ever made, and I had to keep putting it on hold because I had no idea what I was doing. In terms of the shortest period of time, I would say that it varies depending on the intensity of the outfit. My Han Solo was made in one evening in preparation for the screening of The Last Jedi; yet my entire Kassandra armour build was done over the course of less than 2 months, which is ridiculously quick for such an intensive build. Joel: Yes. Alexios was built in six days from a grind of many sleepless nights. Luckily I had Daniella by my side to guide me through the process and help me tackle the problems I ran into. Diona: Which cosplay events do you participate in? Daniella: I attend any conventions that involve cosplay, namely: Geekfest, ICON, Comic Con and rAge. In prior years I would say that I prepared my biggest cosplays for rAge. Due to it being the biggest of our local events, but it seems to have been surpassed by Comic Con. Joel: So far I’ve only cosplayed at rAge as Alexios (Assassin’s Creed: Odyssey cosplay), but I’m so excited for next years conventions, such as Icon, Geekfest and Comic Con Africa. Diona: How did you enjoy rAge 2018? The good, the bad and the ugly? Daniella: I was pleasantly surprised by the quality of Comic Con Africa (CCA), I had previous doubts about its quality due to it being a new convention in a new country; but it was run excellently. There was a satisfying ratio between geek-wares and tech, and the multiple floors in the venue offered enough space to house the thousands of people and the respective stores. Additionally, I was incredibly impressed by the spotlight that was given to cosplay at CCA. There was a designated spot for cosplayers to get photos, relax and leave their belongings; something that is often overlooked by convention organisers. I was extremely impressed with the amount of awareness raised by the “cosplay is not consent” movement in the form of posters and banners. However, my one complaint was the absurdity of the parking for the convention. Due to the extreme amount of convention goers, attendees were forced to park extremely far away from the convention center. This meant that I had to walk roughly 2 kilometers to get to CCA, keeping in mind that I was wearing a full set of Wonder Woman armour and heels. Not fun at all. For rage, this year I attended my 6th consecutive year of rAge as Kassandra from Assassins Creed: Odyssey. My partner and I were fortunate to have been scouted and hired by Megarom Interactive and Ubisoft as official cosplay ambassadors for the launch of the game; this meaning that I had an incredible amount of fun working the stand and assassinating people (for photos of course). However, I felt that rAge itself was lacking this year. With the exclusion of VS Gaming and its incredible gaming stages, rAge felt empty and devoid of the soul that I saw in 2017. It felt very impersonal and very limited, which was disappointing. What added to the overall flatness of the convention was the decision to move the NAG LAN out of the dome itself and into the various wings, thus removing the Blue Wing from the hands of the cosplay community as well as our local artisans that set up in the Artist Alley. This was a downfall in my opinion as it felt as if rAge’s attitude towards cosplay was lacking, rather than improving as we had all hoped following the success of CCA. However, I will say that I am impressed that rAge allowed for cosplayers to make use of the main stage this year for the skits and accompanying awards. Joel: rAge was a blast from a cosplayers perspective. Our Assassin’s Creed: Odyssey cosplay characters were well received. So we got to meet some really awesome people as well as take fun, different and creative pictures with people – like assassinating people in photos. Diona: Besides being an extremely cool cosplayer, what are your other aspirations and interests in life? Body building and taking over the world? 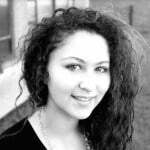 Daniella: I am very much into gaming, and love to delve into various Role-Playing Games (RPGs). However, due to university my time has been limited to playing quick rounds of Overwatch when I can. I’m hoping to further my cosplay career and use it to forge a career path into different creative avenues; yet my dream is to work for a gaming company such as Ubisoft. …And obviously taking over the world is on that list. Joel: Aside from cosplay I am very active when it comes to training. I do look after my health and so fitness plays a big role in my lifestyle. A second hobby is obviously gaming, which is a great escape and way to cool down after a tiring week. Diona: If you were attacked by a mad, poop throwing troop of monkeys in the wild, which cosplay/gaming character would you choose to be? Daniella: Oh definitely Korra (Avatar: The Legend of Korra), she has a variety of mad bending skills and a good sense of humour. So I feel like she would be able to tackle that situation with ease and a grin on her face. Joel: Geralt of Rivia! That way I could use AARD (force push) to shoot the poop back! Diona: What games are you currently playing? Your favourite? Daniella: I am currently stuck into Overwatch, but I absolutely love the Fallout and Assassin’s Creed series of games. I am sure my favourite game will definitely be Assassins Creed: Odyssey the second I can get my hands on it! Joel: Currently I am loving Total war Rome 2, Overwatch, Counter Strike, and the Assassins Creed games. Diona: What have you got planned for your next cosplay? Daniella: I am actually planning to build an Ana Amari (Captain Amari skin) from Overwatch to compliment a friend’s Brigitte cosplay. I consider that to be a more relaxed cosplay, so I will probably do that in the beginning of next year to cool off from the intense armour builds that 2018 has resulted in. Nifty (Joel) and I are also scheming up some plans for our next armour duo cosplay, so keep an eye out! Joel: My Assassin’s Creed: Odyssey cosplay for Alexios still has a long way to go. So completing that first and then possibly a Wonder Man to compliment Daniella’s Wonder Woman build. Diona: Where can we follow or find you? Daniella: My Instagram is @psycadillo. I am most active there and I tend to post progress on my cosplay, as well as the other adventures that life offers me. Oh, and definitely pictures of Nifty and I! Joel: My Instagram is @nifty_smithy. Previous articleEpic Games reveals retail Fortnite Deep Freeze Bundle – but who is it for?